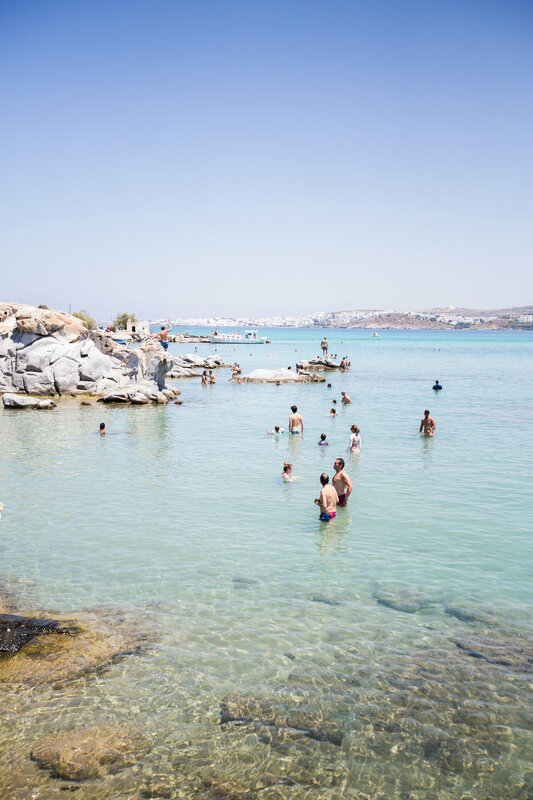 Approaching the island of Paros from the sea, you can’t help but feel relaxed just looking at it. The rolling terrain being baked by the sun and the white buildings nestled along the coastline are a welcome site after the extensive travel you likely did to get here. 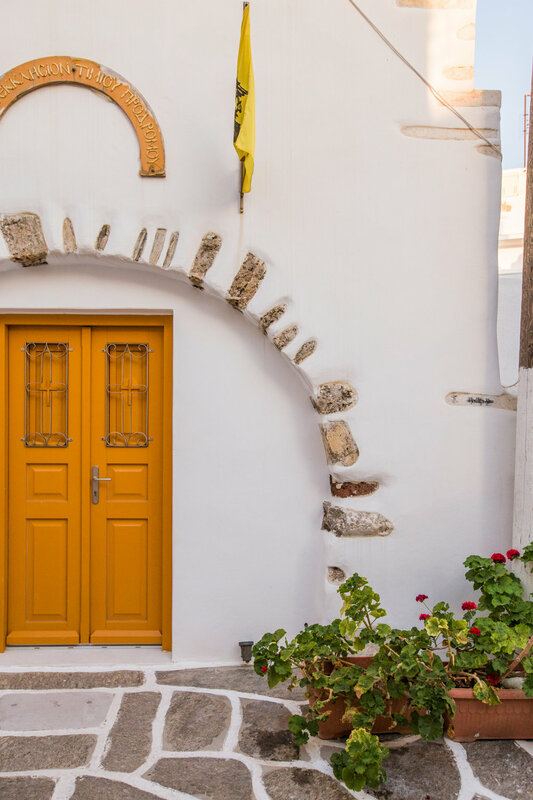 A 20 minute drive to the north side of the island puts you in Noussa—a small fishing village with a bustling little harbor. This is where we made ourselves at home for our stay. Our stay at the Sivanis Apartments (found through AirBnb!) was exactly what we needed. It was a comfortable place to hang out but also a short walk from town if we needed to get out. 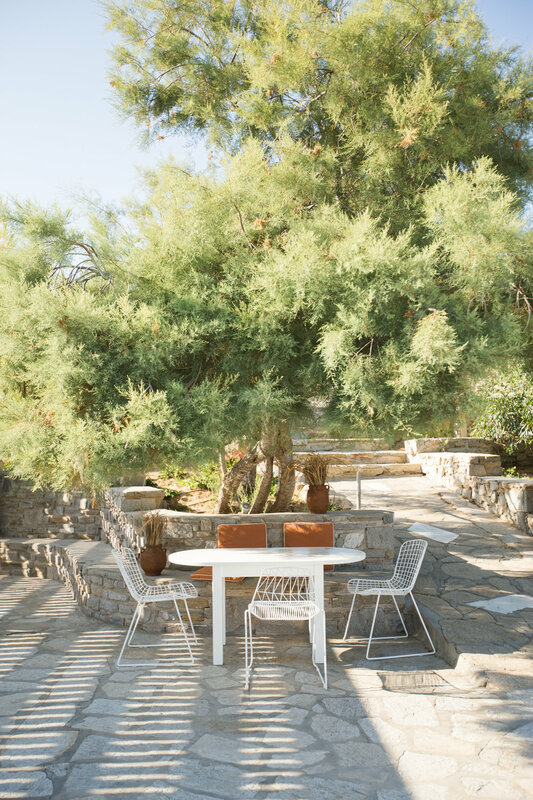 Just steps out the front door is Piperi Beach, a great local beach with large trees providing ample shade and water in the temperature range of perfection. 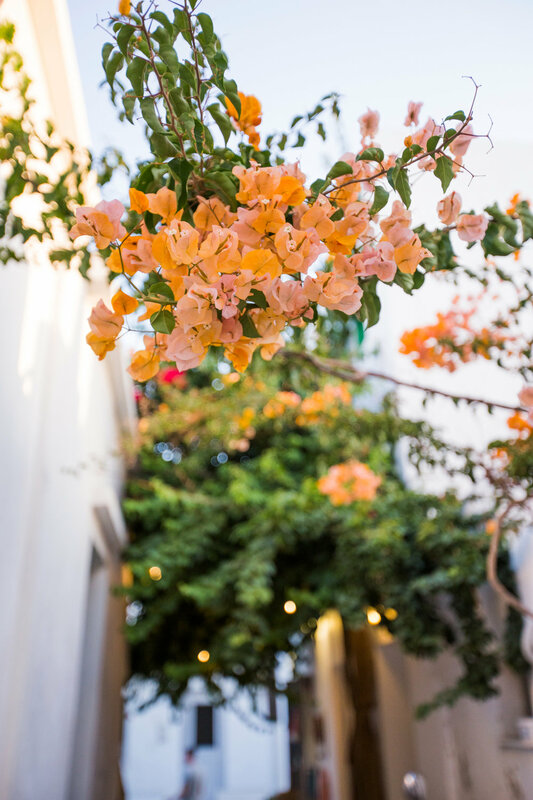 A walk through the town of Noussa will flood your senses with all the things you would expect from a Greek Island—stone pathways winding through bright white buildings, bougainvillea hanging over head, and plenty of al fresco dining. The warm glow of the golden hour before the sun sets feels like pure magic. And you can’t go wrong by ordering the fresh caught fish grilled up for dinner. 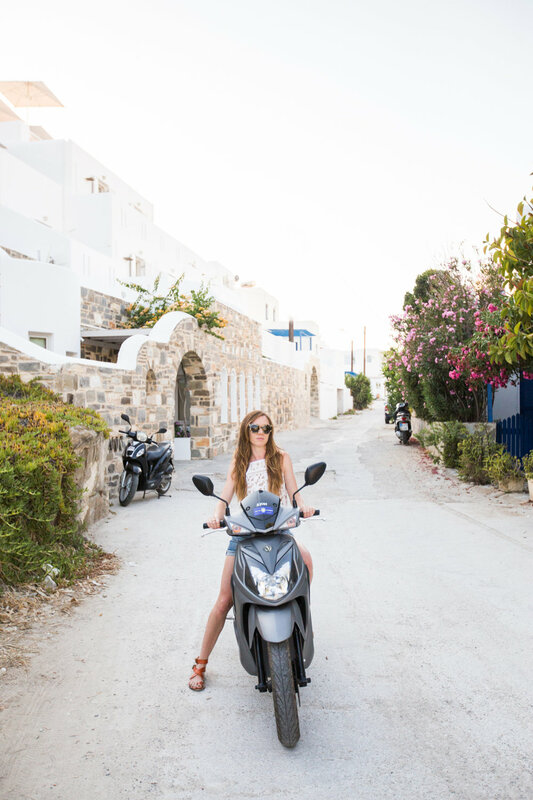 You would be missing out if you didn’t rent a scooter and ride along the coastline, soaking up the sun and breathing in the fresh ocean scents. There are great beaches and spots a short distance from town. 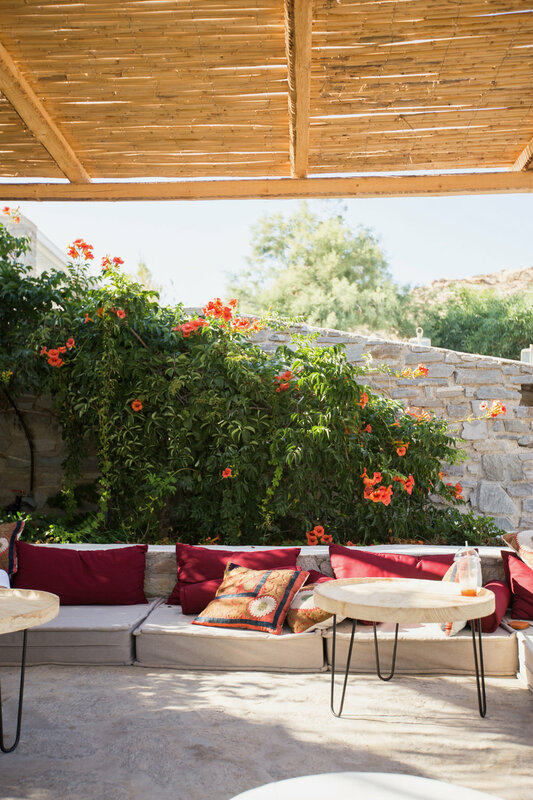 Spend a day swimming in the white rock coves of Kolympḗthres and end up enjoying a lounge-y happy hour on the beautiful patio of Monastiri Beach. 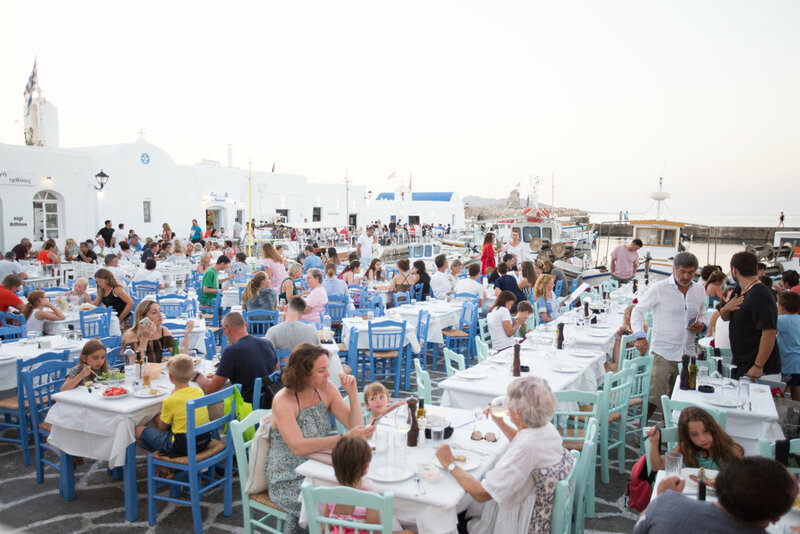 Don’t miss dinner at Siparos while watching the sunset over the water. This low key destination was fun but also very relaxing and restful. 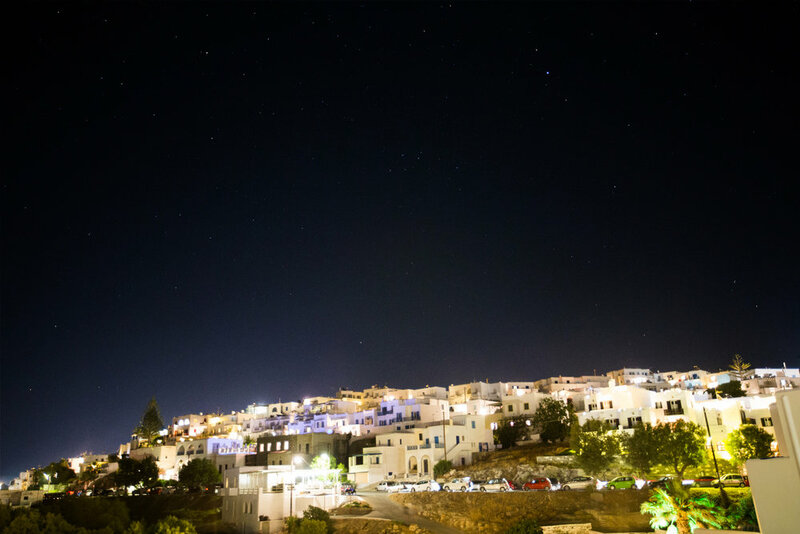 If you want to experience a more local Greek Island experiences, you can’t go wrong! DO | Rent a scooter! 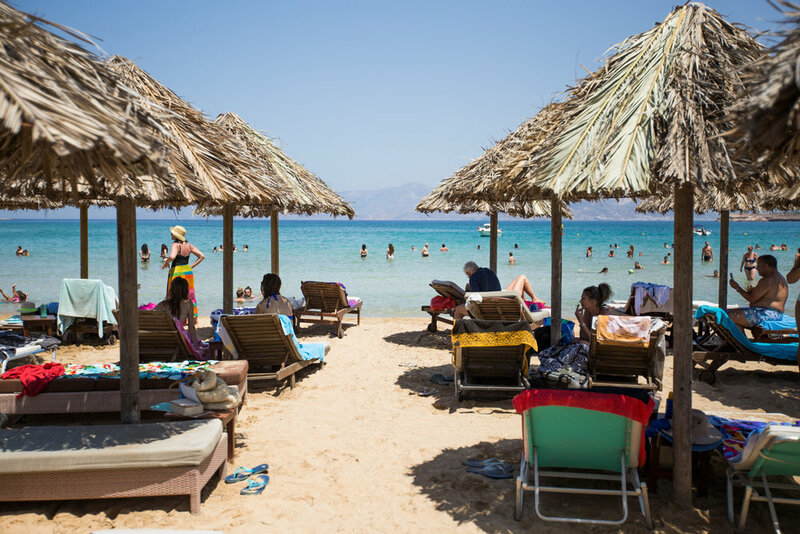 Beach | Kolympḗthres, Piperi Beach. 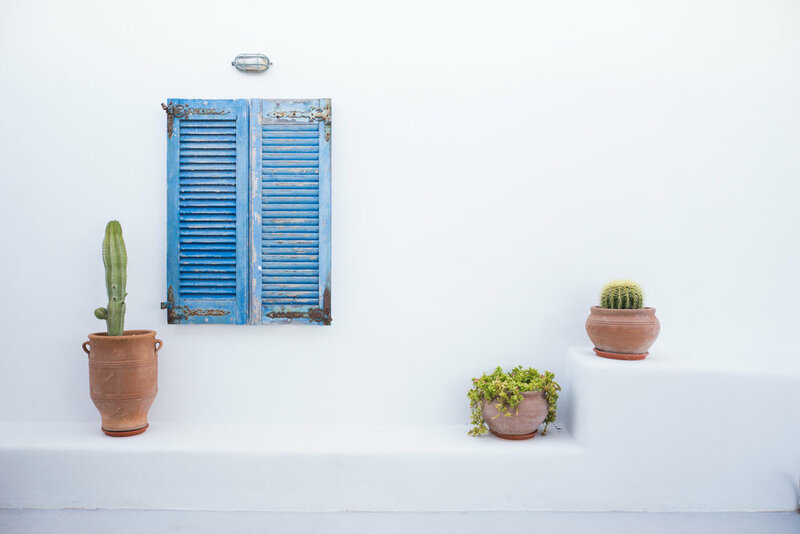 Food | Mediterraneo, Sigi Ikthios.